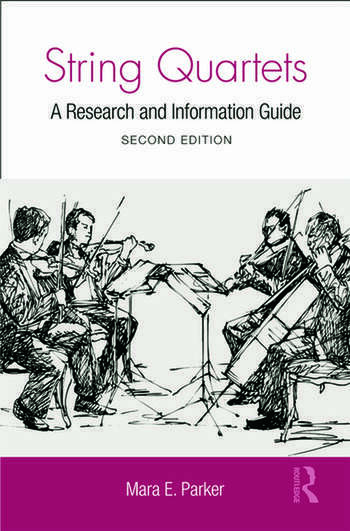 This research guide is an annotated bibliography of sources dealing with the string quartet. This second edition is organized as in the original publication (chapters for general references, histories, individual composers, aspects of performance, facsimiles and critical editions, and miscellaneous topics) and has been updated to cover research since publication of the first edition. Listings in the previous volume have been updated to reflect the burgeoning interest in this genre (social aspects, newly issued critical editions, doctoral dissertations). It also offers commentary on online links, databases, and references.